I’ll always remember how it felt when I realized that I would never celebrate Valentine’s Day the same way again. It was more than a decade ago now, and my husband had a very heavy travel schedule for his job as a trainer. He was constantly traveling all over the Southeast, running workshops for his company. I was pretty easy-going about the travel for the most part, especially since my family lived around the corner at the time. Then he dropped a bomb. I wanted to object – and loudly – and was about to do so until I realized two things. First, he didn’t control when that workshop was scheduled. Yelling at my husband would accomplish nothing, with the big exception that it would make him feel horrible about something he had no control over. Making him feel bad for stuff that isn’t his fault isn’t exactly a good way to keep my marriage strong. Second, I realized that Valentine’s Day – day of love and presents and chocolate and showing the one you love how very much you care for him – is a manufactured holiday. Yup, you read that right. Manufactured. And I don’t need some particular day of the year to know that my husband loves me. He shows me all year, in large and small ways, that I’m important to him. And so, we started a non-celebration of the one day of the year that everyone spends showering each other with presents and flowers. We do exchange Valentines – home-made – and he sometimes will buy some chocolate for the girls – usually from Wal Mart or the Dollar Tree. But the big celebration – the dinner out, the present, the flowers – are no more. And it is, frankly, a relief. Besides, it was probably about 7 years before he was even home for Valentine’s Day after that first trip to Texas. Instead of getting flowers or presents for February 14, I like to think back about the ways I get Valentine’s Day all year long. he doesn’t *let* me homeschool – he whole-heartedly supports our doing so! I could probably go on and on about how amazing and wonderful he is. And I learned to look at my life this way – seeing these small gifts as the greatest ones I have – all because one day my husband told me he was about to spend Valentine’s Day in Texas with a bunch of store managers. What this means to our girls is this: Valentine’s Day, while a nice time to give cards and indulge in a little candy, is certainly not the big deal you’d think it was if you got all your information from television ads. It’s a nice day to tell someone “I love you,” but, really, what day *isn’t* a good day to do that? What Valentine’s Day is *not* for them is a day to make up for the rest of the year. It’s not a day when you treat someone vastly differently than you do the other 364 days in the year. It’s not a day to go nutso and buy some extravagant gift like a diamond ring or an iPad. It’s not a day to go crazy and buy a dozen roses (for more than double the price)! I’ve frequently tole both my husband and my children that if he bought me anything like that for Valentine’s Day, I’d probably clock him! 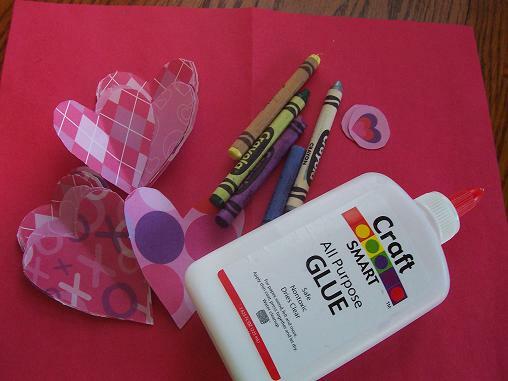 Our family Valentine’s Day is going to consist of home-made Valentines and a nice dinner. As a matter of fact, I just looked and realized that I scheduled leftovers for the menu. Shows you just how little I pay attention to February 14, doesn’t it? Of course, just because it’s not important to celebrate, that’s not stopping us from doing something different this year. I laugh about the fact that we’re actually going to a dinner-dance at our parish tomorrow night, especially since we really don’t “do” Valentine’s Day. But the Knights of Columbus is having a dinner-dance tomorrow, and the proceeds are going to a food bank in the area. So we’re going to get dolled up and head out for a romantic dinner. At a table for six. At our parish social hall. Honestly, it’s the only Valentine’s dinner that really fits us, I think! Heck, I might even dance! But barring the Knights doing this again next year, I anticipate going right back to our usual Valentine’s Day: leftovers, construction paper cards, and snuggling on the couch while we watch a movie with our girls. By the way, I love what you said about V-day not being about making up for the rest of the year. I have a friend whose husband got a limo and babysitter and took his wife out for a lavish, expensive night on the town. He called it “wife appreciation night.” When she told me this, I was initially a little jealous–until I remembered that they have a terrible marriage where they regularly cut each other down, scream at each other, and abandon each other during times of need. I realized just what you said: that I’d much rather have the respect, support, and love that Tom shows me every day of the year than a big bang once a year that’s to make amends for how he treats me the other 364. This is so good. I feel for the men every year knowing they will be judged on how much they love someone based on one day, verses the daily. 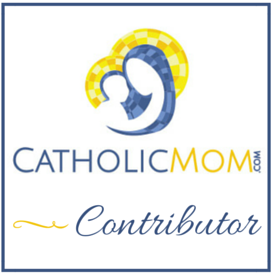 I’m a new follower from Catholic Mothers Online. Please stop by and return the favor.